Canada features more than 3.8 million square miles of diverse landscapes ranging from rolling prairies to pristine glacial lakes. One of the best ways to explore the country is by train. Hop on board one of these lines for the rail adventure of a lifetime. Rocky Mountain Routes: The Canadian Rocky Mountains serve as the backdrops for several incredible railway trips, including the incredibly popular Vancouver-to-Banff route offered by Rocky Mountaineer. Passengers travel by day, spend the night at a hotel in Kamloops and continue the two-day journey the next morning. Opt for the GoldLeaf package, which entitles you to watch the scenery from the glass-domed upper level and dine in an exclusive dining room in the lower level. Rates for the Vancouver-to-Banff experience begin at $935. 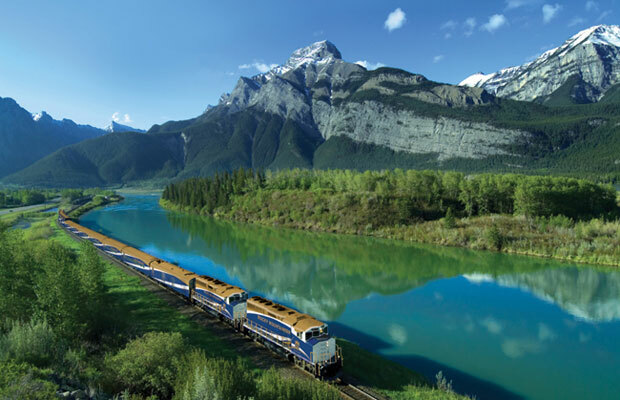 VIA Rail also provides service from Edmonton to Jasper. The scenery can be a little ho-hum as you head south, but once you hit the Rocky Mountains, you’ll "ooh and aah" the rest of the way. One-way travel on VIA from Edmonton to Jasper begins at $110. 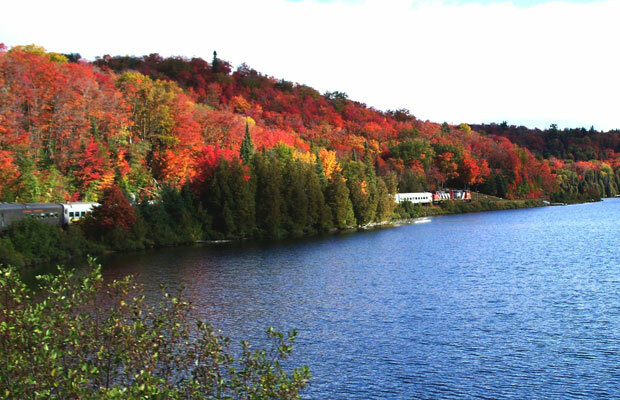 Agawa Canyon Train Tour: This eight-hour, round-trip train tour runs north from Sault Ste. Marie, Ontario, through a 22,000-square-mile recreational wilderness known as Algoma Country. Along the way, watch for moose and other wildlife as GPS-triggered narration over the intercom alerts you to upcoming geographical points of interest. The train makes a 90-minute stop on the floor of Agawa Canyon, where passengers can climb to a 250-foot overlook, hike to waterfalls, or enjoy a picnic lunch. Fall is the best time to ride – usually the last two weeks of September and the first week of October. Book early, though, as these tours always sell out. Summer fares begin at about $83 (about $73 for seniors) and jump to about $102 during the fall, September 14–October 14. Sea to Sky Climb: Rocky Mountaineer also chugs along the Pacific Coast from Vancouver to Whistler. You can spend roughly three hours exploring the infamous resort village or extend your time with an overnight stay to take advantage of kayaking, rafting, heli-hiking, horseback riding, and other outdoor activities. The train gives you the option to add on its Rainforest to Gold Rush route to the Sea to Sky Climb for a five-day journey that continues from Whistler to Quesnel and Jasper. Rates for the Sea to Sky Climb begin at $176; the five-day extended trip begins at $1,590. The bigger picture: If you want to ride the rails across the entire country, book VIA Rail’s Toronto to Vancouver route, which includes the Edmonton to Banff leg mentioned above. Before you depart Toronto, you can head north to Montréal and even Halifax, on other VIA lines. In Vancouver, you can transfer to the Rocky Mountaineer for the Sea to Sky Climb. The cross country option from Toronto to Vancouver starts at about $600.